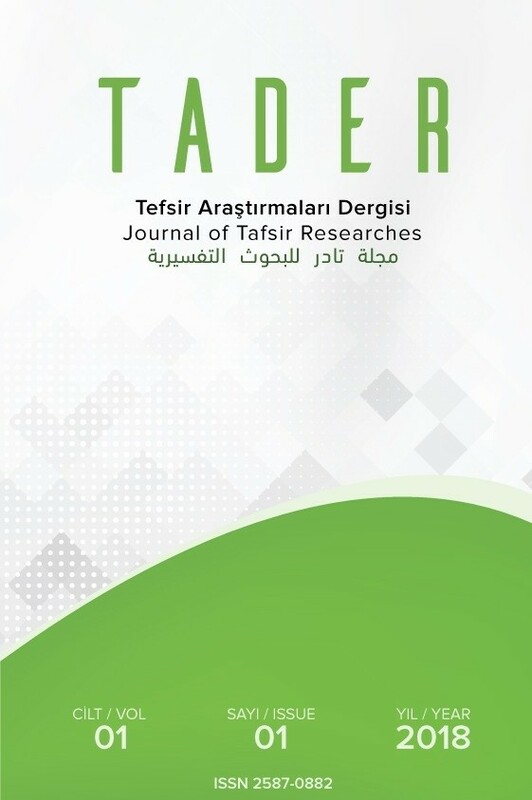 (TADER) is an international magazine published twice a year in April and October, published in an academic, periodical and electronic environment. In TADER, critical research studies, evaluation (articles, books, scientific meetings), reviews, compilations, papers, interviews and editions are published in fields such as commentary, commentary history, Quranic science and Quran. It is also evaluated in interdisciplinary studies conducted in other fields related to exegesis. Investigations related to the teaching of the Qur'an and Tafsir are also evaluated for publication. This journal uses double-blind peer review. Reviewers are unaware of the identity of the authors, and authors are also unaware of the identity of reviewers. There are at least two reviewers for the total number of articles in each issue. There is no fee for sending articles to our magazine and publishing articles. Starting from October, the Isnad Footnote Citation System and Bibliography will be taken as basis. For the article: Abstract (at least 5 keywords with a summary of 100-350 words / abstract) and the template used in our previous issue. See example article.